Christian Michel’s extradition comes six years after his alleged involvement in the purchase of VVIP helicopters first surfaced in 2012. 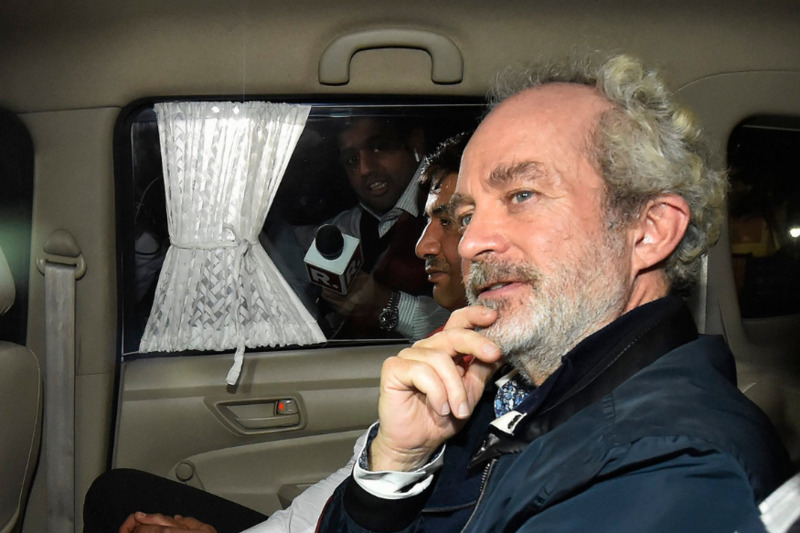 A Delhi court on Wednesday sent Christian Michel, the alleged middleman in the Rs 3,600-crore AgustaWestland chopper deal, to five-day CBI custody. Michel was extradited to India from Dubai late Tuesday night. On his arrival in India, he was taken to the CBI headquarters for questioning. 54-year-old Michel was among the alleged middlemen who brokered the chopper deal and who, investigators claim, paid bribes to officials and politicians to swing the contract in favour of AgustaWestland, the British arm of Italian firm Finmeccanica. The CBI has alleged there was an estimated loss of Euro 398.21 million (approximately Rs 2,666 crore) to the exchequer in the deal that was signed on February 8, 2010 for the supply of VVIP choppers worth Euro 556.262 million. Michel’s extradition comes six years after his alleged involvement in the purchase of VVIP helicopters first surfaced in 2012.